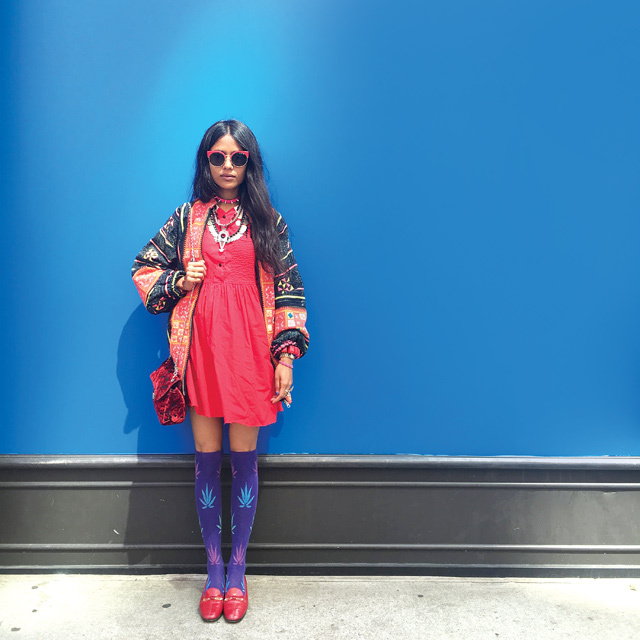 For someone who debuted her first piece of jewellery only three years ago, Arpana Rayamajhi (pictured) has been creating a great deal of buzz in New York’s fashion circles lately. Her vibrant creations have a natural east-meets-west flair to them, helping her gain a global foothold. She already has a feature in Vogue focusing on her eponymous jewellery line under her belt, and a strong follower base on Instagram. “I was starting to feel a massive disconnect from my own country, and making jewellery became a mode of connect for me,” says the 28-year-old Kathmandu native. 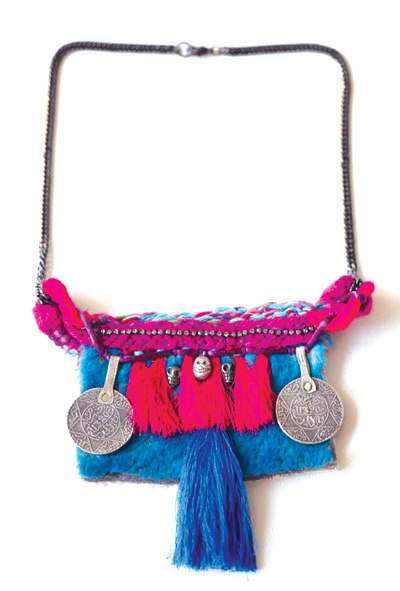 Drawing inspiration from traditional Nepali styles — specifically intricate ethnic ornaments worn by women as well as crafts that have universally become less valued over time — and blending them with a western urban style, Rayamajhi’s jewellery is contemporary, edgy and refreshingly colourful. “Being away from Nepal has made me see the things I grew up with in a different light. I have a more objective view on handicraft from home and I find some of our work to be extremely beautiful,” she adds. There are various series in Rayamajhi’s work, and each has an underlying story. Staying true to her unique sense of style, Rayamajhi’s jewellery uses beads, rubber, strings, fabric, silver and gold, and is not limited to a particular kind of design. “Minimalism is easy and it comes from modernity, but I believe that the more the jewellery, the better, which is reflected in my work. With the colours and materials I use, I am able to bring my heritage forward,” says Rayamajhi. Rayamajhi finds inspiration in the new and old, in both fiction and non-fiction. Her first-ever series "The Melancholy Death of The Urchin Girl" was inspired by Tim Burton’s book The Melancholy Death of the Oyster Boy, and it remains massively popular. Although Rayamajhi delved into the arts at a young age and experimented with drawing, painting and music, she began designing jewellery only while pursuing her Bachelor in Fine Arts degree from Cooper Union in New York. As any digitally-savvy entrepreneur would, Rayamajhi began posting photographs of her jewellery on Instagram, and continues to use this as a vehicle to showcase her work. Although she is currently designing and crafting her jewellery solo, she hopes to expand her work and employ single mothers in future. The designer models her own jewellery on her Instagram feed. Besides jewellery, her eclectic Instagram feed features photographs of subjects she is inspired by, her own artwork and selfies — the designer models her own jewellery. She now has over 27,000 followers, and counting.